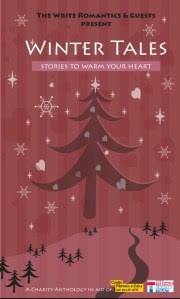 The nice folk at Write Romantics have put together an anthology of winter-themed short stories in order to raise money for The Cystic Fibrosis Trust and The Teenage Cancer Trust. My story is called ‘The Art of Giving’ and it features Iris Harper. So, if you enjoyed The Language of Spells and wanted a peek into Iris’s past or you fancy an excellent selection of uplifting stories or you just feel like doing something good for charity, please consider purchasing a copy. 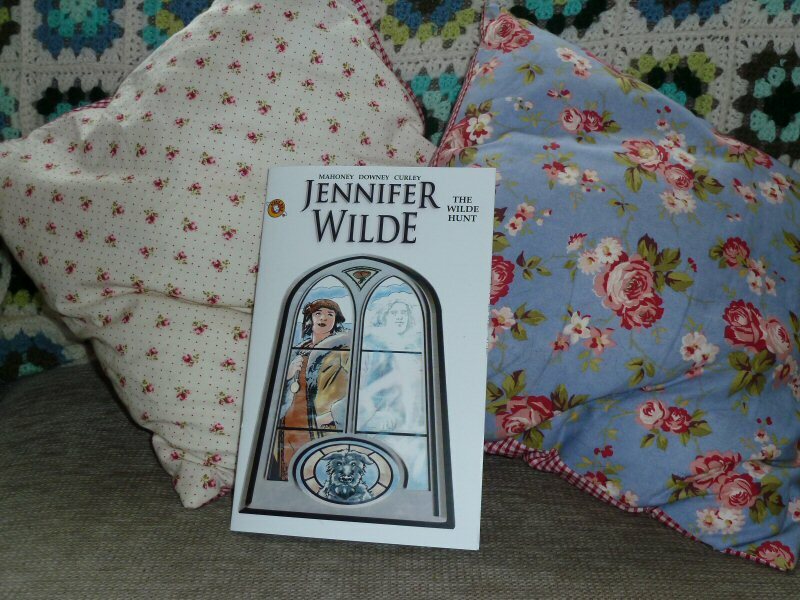 Winter Tales is out on Saturday 8th November (tomorrow!) in Kindle format with paperback to follow soon. There’s a launch event tomorrow afternoon on Facebook with competitions and giveaways. 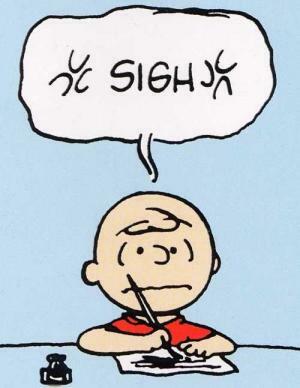 In other news, I will (yet again) not be taking part in NaNoWriMo. I think it’s a brilliant event and I wish everyone taking part lots of luck, but I know it’s not for me. The pressure of 50,000 words just makes my brain freeze. 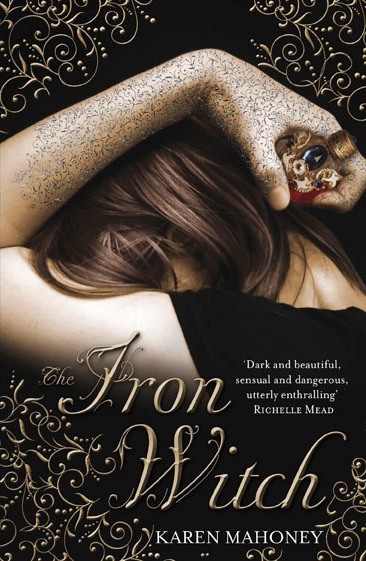 I do love writing challenges, though, so I’m joining author Karen Mahoney’s cut-down version. After sending off the latest rewrite of the book to my agent, I wanted to have a fairly chilled month, plus I respond well to a low bar, so I set my target at 15,000 words. Hop over to her blog if you’d like to join in, too. However, technology is thwarting me today. Maybe next week? 1. I love it when author Laini Taylor talks about the craft or practicalities of writing – she’s always eloquent and inspiring. This piece on Writers With Kids and what that means day-to-day is a little bit humbling (man, some people work really freaking hard), but it’s also comforting to know that many other folk are trying/struggling to fit creative work around family life. 2. Another of my must-reads is Chuck Wendig. His writing advice is profane, profound and very funny. This piece: So You Just Had Your Book Published really resonated with me. I wonder why? 3. YA author Karen Mahoney is running another of her supportive writing challenges on her blog during August. If you’ve got a writing goal in mind and want to join a group for cheer-leading and support, head over here to sign up. 4. I just discovered Thug Kitchen. It’s not safe for anyone who is offended by swearing, but those who like their vegetarian recipes yelled at them in an amusingly offensive way, click away. Plus, the food sounds really good. I’m planning to try these smokey bean and spinach burgers ASAP. 5. You guys know the insanely-talented Hyperbole and a Half (Allie Brosh), right? Well, she has a book coming out. Hurrah! Pre-order it here. * Don’t worry, I took my family to the cave (AKA holiday cottage), too. I’m not that mean. 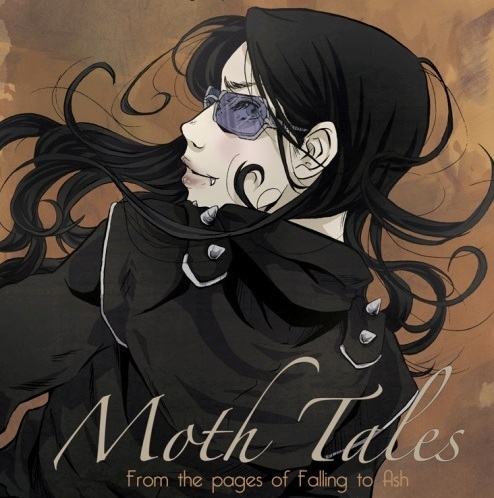 YA author Karen Mahoney has teamed up with artist Candace Ellis to create a web comic called Moth Tales. The first episode went up yesterday and it looks beautiful. The comic is a companion to Karen’s forthcoming book Falling To Ash and will work as a prequel/side-story thing. It’s a fantastic idea and an absolute gift to readers. Yay for creative and talented people doing cool things! Okay, confession time: I’ve been in a writing slump. I had a knock-back (or two) and I didn’t manage to shrug them off with a casual ‘it’s their loss’. I’ve spent a lot of time wondering what I’ve done wrong, questioning the direction I’ve taken, my genre, and my ‘voice’. Perhaps not surprisingly, this has had a knock-on effect on my creativity. I’ve been reading blogs (more than usual), aimlessly clicking through the internets and, instead of being inspired and uplifted by the brilliance (and community) found within, I’ve felt drained and miserable. In short, I was beginning to think that whatever writing talent and drive I’d once had, was gone. Used up. I was a husk, I tell you! A self-dramatising husk! So, I decided to take time off and focus on other things: Sewing, reading, gardening and walking. And, praise be, it’s working… For starters, I’ve felt happy again. Huzzah! 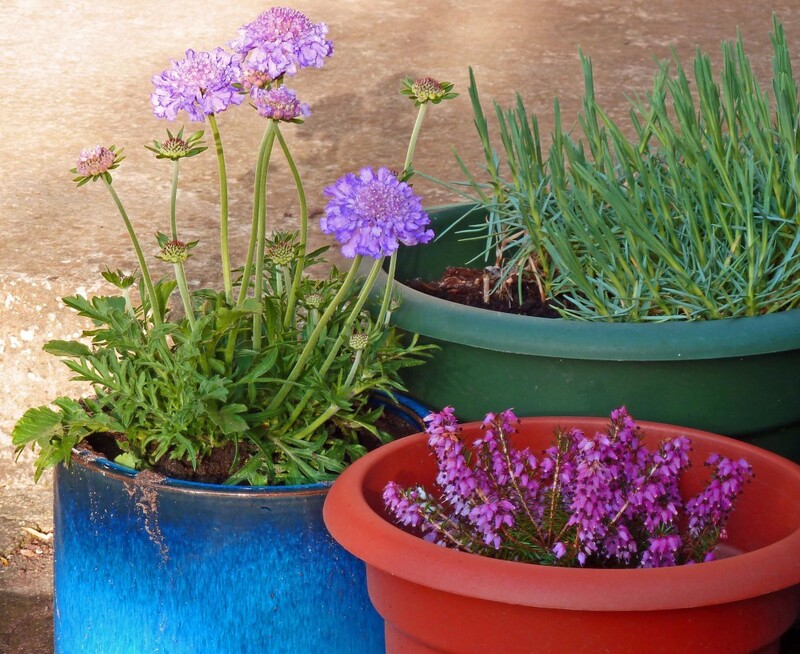 Then, while I was potting these flowers, I felt the tickle of a new idea in the back of my mind. Next, a character’s voice began chattering in my head. It seems that creativity can be like a shy woodland creature; if you blunder towards it, it runs away. If you pretend you’re not looking, sometimes it creeps out of the undergrowth and nuzzles your hand. Or something. 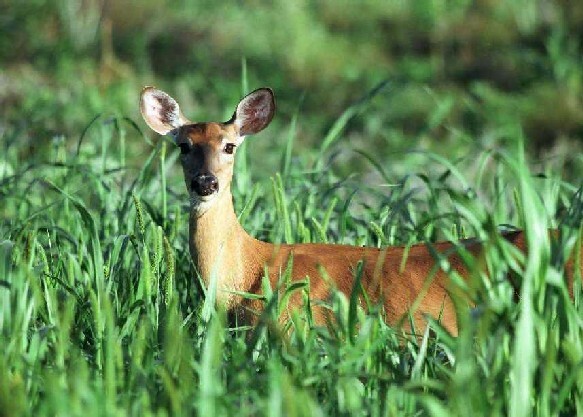 Hello, little deer. Are you my missing creativity? Please say 'yes'. So. 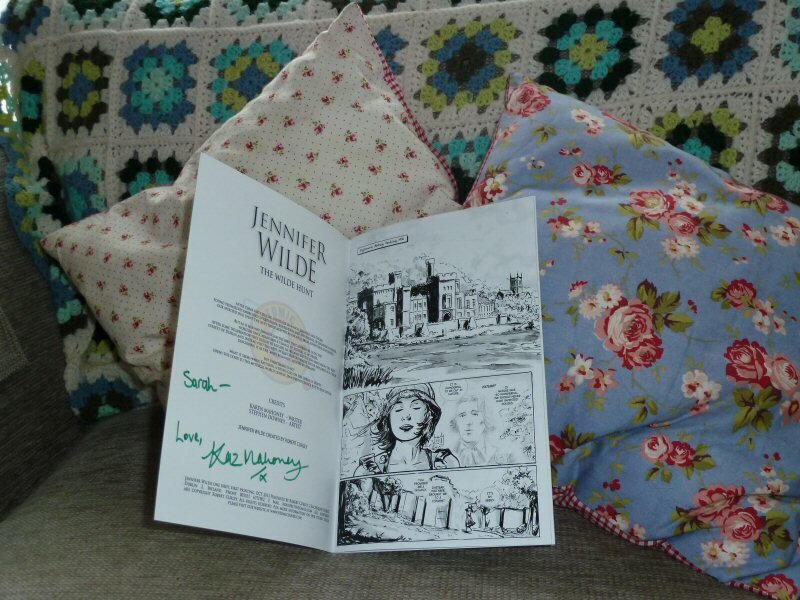 Since I’m feeling a wee tiny bit better, I’m going to take part in Karen Mahoney’s Spring writing challenge. I’m signing up to write 30,000 during April. That’s just 1000 words a day. 1000 more than I’ve been managing recently, but still. Gotta love a deadline. Anyone want to join me? In other news, I had the urge to cook something new on the weekend. I spotted this spicy jambalya recipe on my sister-in-law’s drool-inducing cookery website and decided to give it a go. I hoped that the addition of chorizo might persuade my son to choke down some rice, much in the way that a bucket of parmesan makes risotto palatable to him. I didn’t have a carton of tomatoes, so used a tin of Napolina chopped tomatoes instead. I used trusty Marigold Swiss vegetable buillon for the veg stock and followed the amount stated even though it looked like an alarming amount of liquid. It wasn’t. It cooked perfectly in just over 20 minutes. As I was making this for the whole family, I omitted the chillis and I’m glad I did. It was still super-tasty but both kids said they wouldn’t have wanted it any hotter. I adore lime so I doubled up on this, cutting a whole lime into wedges and giving everyone a piece to squeeze their own. The rice goes all deliciously smooth and silky (from the fat in the chorizo, I assume) and the smokiness of chorizo and paprika cut with lime juice is sublime. We all loved it – even my son. Towards the end of his bowlful he was mainly just picking out the chorizo, but I’m okay with that. I’m all about celebrating the small successes this week.